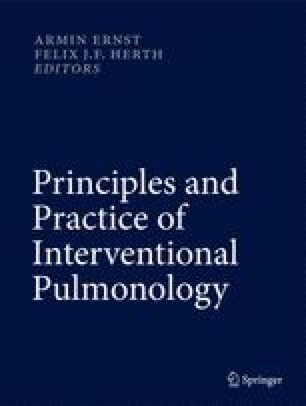 Airway complications (AC) have been a significant and persistent source of morbidity and mortality since the first human lung transplant took place in 1963. The early incidence ranged from 60 % to 80 % but has improved to approximately 15 % with a related mortality rate of 2–3 %. This improvement has played a vital role in the enhanced survival of lung transplant patients. Despite an improvement in overall survival, the prevalence of airway complications has not changed over the past decade. Airway complications are varied in presentation and treatment and seen primarily at the site of the anastomosis but are also found both proximal and distal to the suture line. Complications seen directly at the anastomosis include stricture/stenosis, hypertrophic granulation tissue, necrosis, dehiscence, loose sutures, fistula formation, and infection. Complications seen in proximity to the anastomosis include necrosis, malacia, and distal stricture. Notwithstanding the morbidity related to AC, quality of life is markedly impacted, sometimes negating the benefit of lung transplantation. This chapter will discuss potential etiologies and management strategies.